wearing: dress by Wish, sunnies by MinkPink, antique gold rings and vintage boots. This is one of my favourite posts I've done on SPIN DIZZY FALL before. Just look at this glass house! 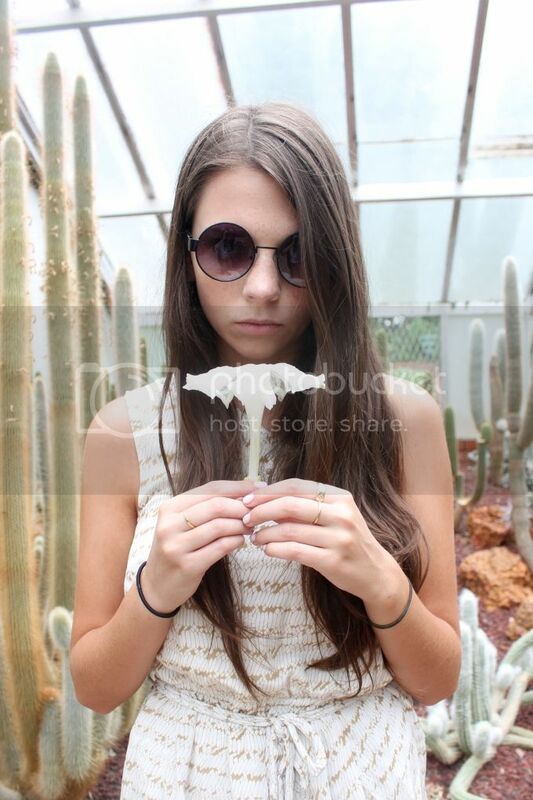 I've always loved cacti and desert plants. I may or may not be one of those people that continuously buy and accidentally kill baby cactus plants after leaving them on the windowsill for too long. 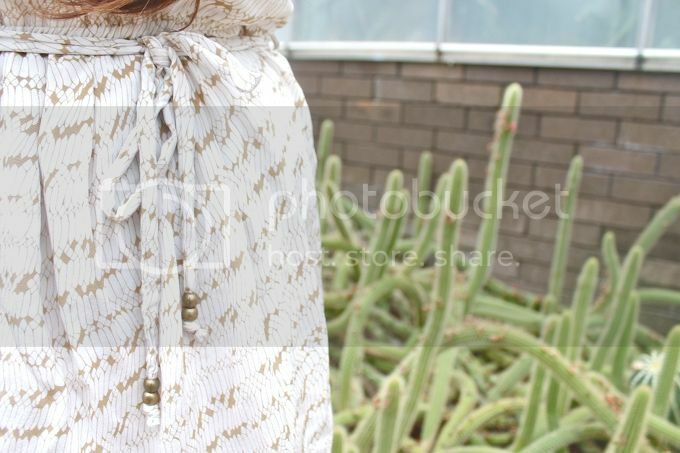 I thought this Wish dress was perfect for the day with a desert snake-like print of its own. I'm always happy to go the grunge with a pretty dress by adding vintage boots. I had a lot of fun exploring this place while doing this shoot. 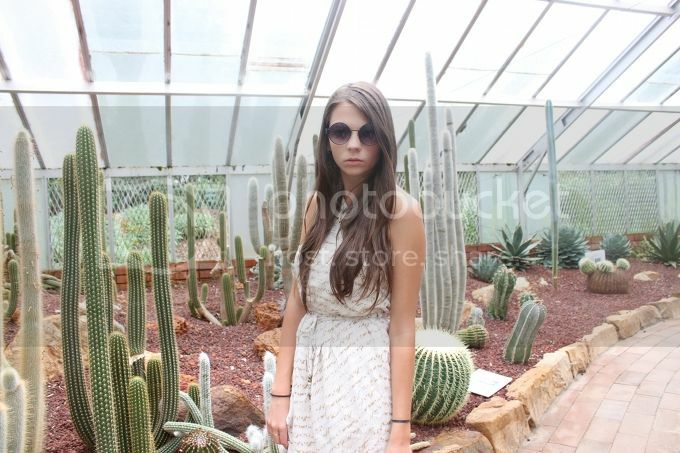 Cacti can be a fierce, pretty bunch. Here's to more fun posts in the future. Where is this magical glasshouse!? This is completely fantastic!!! So damn cool. This outfit post is amazing! Great shots Emma. Super cool location. Love how you edged up the dress with the boots and sunglasses. Love the print of this dress, and great location. Really unusual! incredible location!! 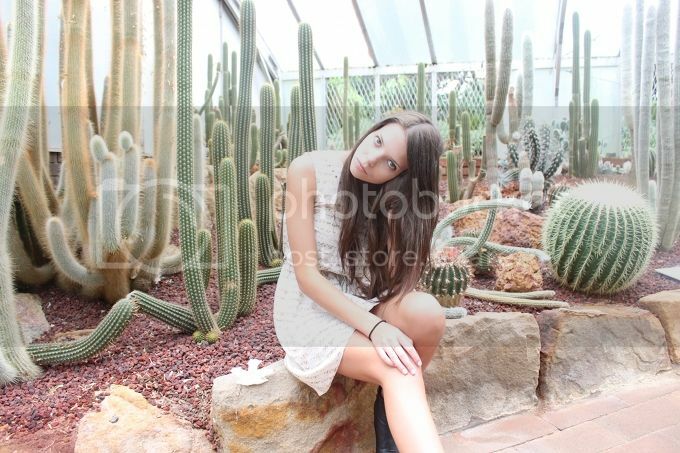 those cacti look amazing, I've always had a fascination with them too! love how you worn those chunky boots to combat the dress. the round sunnies are an awesome touch too! Your boots are amazing, love how chunky they are! Wow what amazing shots!!! 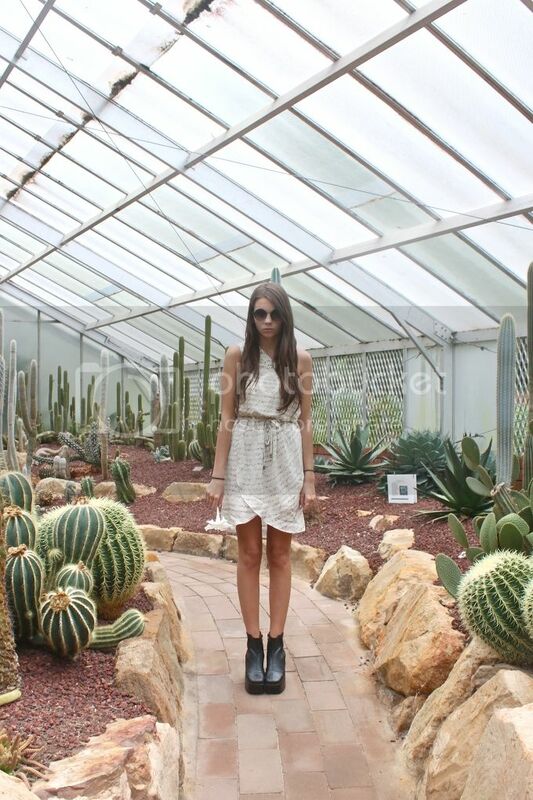 Loving the cactus backdrop and your outfit is gorgeous!!! You've just got yourself a new follower!! !